Among the other members of the Group are Papua New Guinea, Solomon Islands and Vanuatu. The agreement was signed in Suva on January 20, 2017. Free movement of goods and services has become effective between Fiji, Papa New Guinea and Vanuatu but Solomon Islands is yet to open its borders. Mr Bainimarama is confident that Solomon Islands Prime Minister Manasseh Sogavare will make the move soon. Mr Sogavare was present at the ceremony, which was also attended by Fiji’s Attorney General and Minister of Economy Aiyaz Sayed-Khaiyum, diplomats, government officials and businesspersons. Stating that the FTA was a test of 24 years of regional economic partnership, Mr Bainimarama said that the new version would establish a solid economic foundation suited to address several emerging challenges faced tby he member-countries of Melanesia. “During our Chairmanship, I called for economic cooperation among MSG countries that matched the strong political ties we have always shared, to serve our citizens better by knocking down barriers to the movement of trade, investment and our people, and set an example of regional growth and development for every nation in the Pacific. MSG has lived up to the ambitious potential I believed we were capable of realising,” he said. Statistics quoted by him said that during the five-year period from 2010 to 2014, the annual total trade value between Melanesian countries grew by 114% to F$169 million and over the last five years, trade between Fiji and MSG countries grew by 73% to F$143.4 million. Mr Bainimarama said that the MSG has made flow of goods, services and resources more efficient and more reliable. “We are all rising high on the same tide of economic achievement. 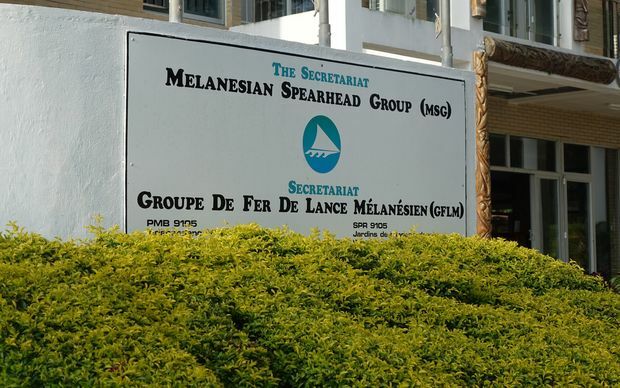 In the Melanesian way, we have harnessed each of our strengths, worked side-by-side in mutual trust and respect and done well by each other and for each other. The benefits of our accomplishments are experienced everyday by the men and women we are proud to represent and all work so hard to serve,” he said. He said that the ‘renegotiated agreement’ is stronger, clearer and more accommodating and more cooperative. Although MSG nations are small, they are seizing the opportunity to control their own collective destiny as much as possible to advance by their own efforts, by the strength of their own will, he added.